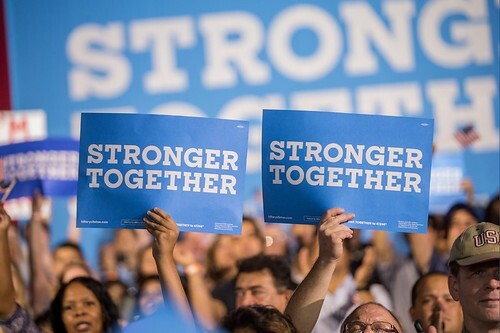 The Hillary Clinton campaign identity designed byMichael Bierut and his team atPentagram. 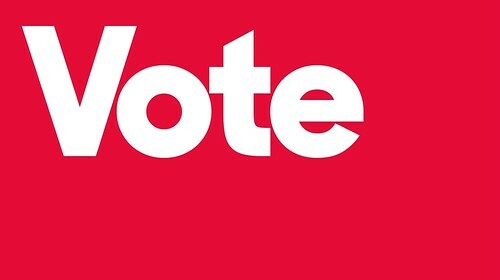 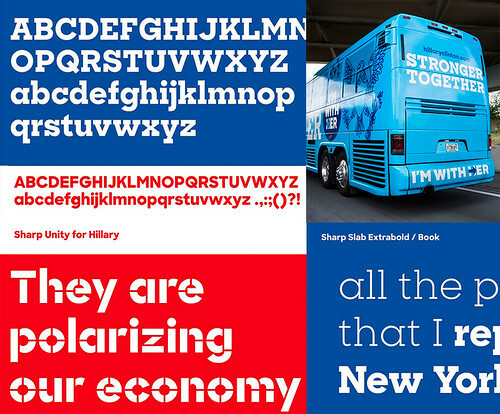 Examples of Sharp Slab for Hillary,Sharp Unity for Hillary, Sharp Stencil for Hillary, Sharp Slab Extrabold, Sharp Slab Book and examples of several of the fonts in use on a campaign bus. 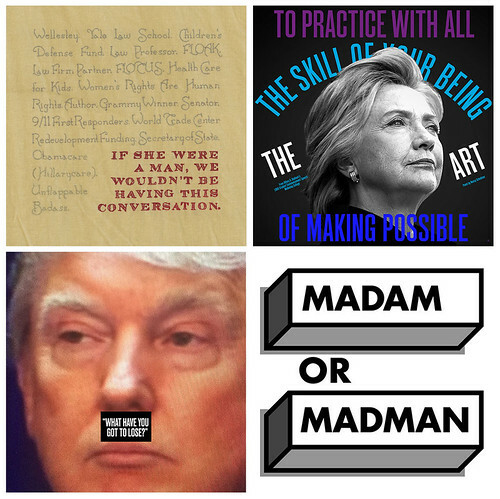 30 Reasons posters by Elizabeth Amorose, OCD,Bonnie Siegler andLarkin Werner. 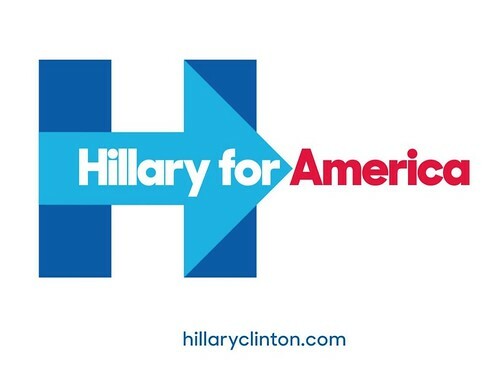 Hillary for Americavideo showing Pentagram’s identity in action.